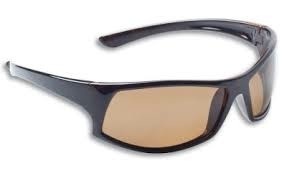 Frame Style: A modified square wrap style frame constructed from a light weight and durable Polycarbonate. 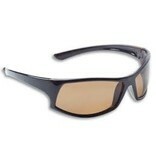 Features: Polarized, durable and 100% UV A and B ray protective TAC lens with a thickness of 1.0 mm. The blue mirror lens color is ideal for offshore fishing, general boating and most water-sport activities. Includes a draw string closing, cotton storage bag festooned with the Fisherman Eyewear logo. Fitting: Best for small to large size faces.